Preheat oven to 400°. Cut bacon crosswise into thirds. Place bacon on a microwave-safe plate lined with paper towels. Cover with additional paper towels; microwave on high 3-4 minutes or until partially cooked but not crisp. Place chicken in a small bowl; sprinkle with steak seasoning and toss to coat. 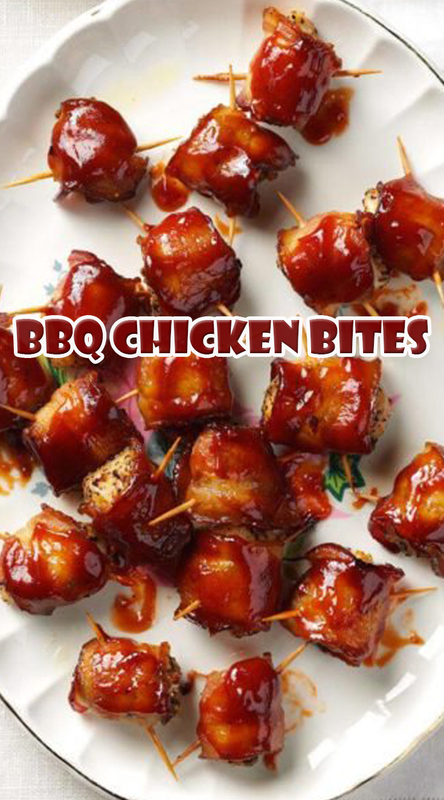 Wrap a bacon piece around each chicken cube; secure with a toothpick. Place on a parchment paper-lined baking sheet. Bake 10 minutes. If desired, add horseradish to barbecue sauce; brush over wrapped chicken. Bake 5-10 minutes longer or until chicken is no longer pink and bacon is crisp.